Argentinian fishing port, Mar del Plata, witnessed an alarming drop in container cargo throughput in January this year, down 60% compared to the same month in 2018. However, there were no changes in the number of container vessel calls. According to TC2 statistics, the port saw a throughput of 323 40-foot reefer containers in January 2018 from MSC and Maersk vessel calls which connect Mar del Plata with Montevideo. However this year, with a similar number of vessel calls, only 128 40 foot reefer containers were loaded. Following the relaunch of container vessel calls at the port in 2015, activities at the port really took off. 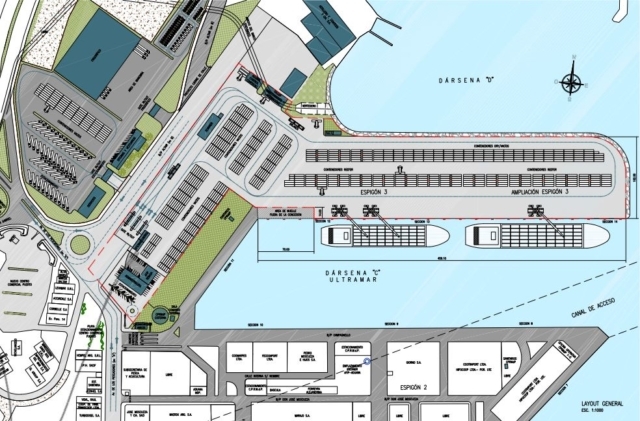 The port consortium also invested in developing the port infrastructure, such as increasing draft and building mooring docks in section 8 and 9 of Espigón 2, completed last year. However, the port authority recently removed some of the benefits and promotions available to vessels unloading at the port. There has also been a sharp increase in tariffs and stowage charges. Some shippers are showing a preference for Patagonian ports. For example, close competitor Puerto Deseado discharged 15,000 tons by January 23, while only six vessels called at Mar del Plata in January. Recently, the Mar del Plata Port Consortium has announced a tender to build a multipurpose terminal near the port’s silo and grain conveyor belt. With the drop in container throughput, the port’s outlook may seem less appealing. Nevertheless, the port consortium will start considering the offers of concession from February 18.